Filipinos have a penchant for creative nomenclature. That means we can get really creative when it comes to naming things. Just look at some of the names of small business signs anywhere in the Philippines and you’ll see what I mean. So it is only to be expected that this creative naming also extends to food. Breakfast basics for most Filinos is fried rice (Sinangag) and eggs (Itlog). Most Filipinos would have rice and eggs for breakfast everyday with only the addition of a variaty of viand such as longanisa (Filipino sausage), tapa (marinated beef), tocino (marinated pork), daing (dried fish), tuyo (dried sardines), bangus (marinated milkfish), or pusit (dried squid). So when you’re in a restaurant ordering breakfast, you would combine the name of your viand with the name of the basics, sinangag (fried rice) and itlog (eggs). 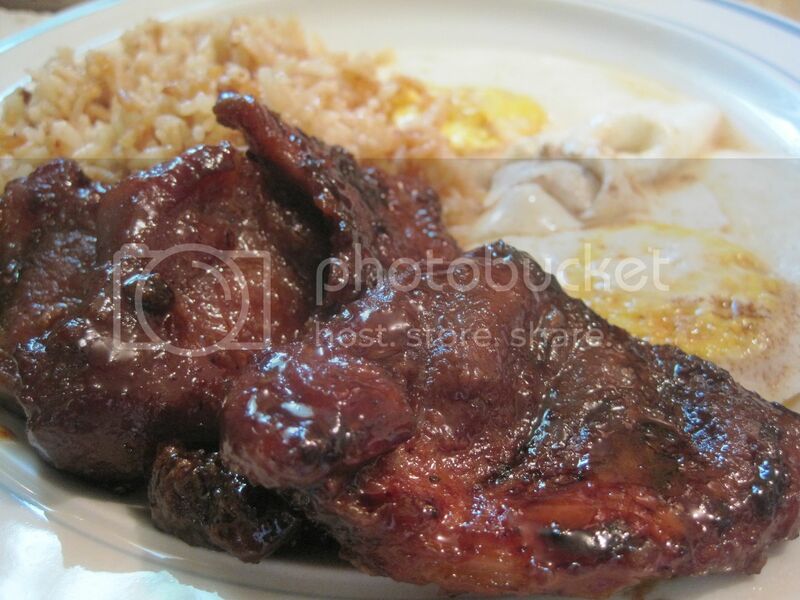 For instance, if you were to have the marinated pork, it would be ToSiLog – a combination of Tocino, Sinangag and itLog. You get the idea, right? 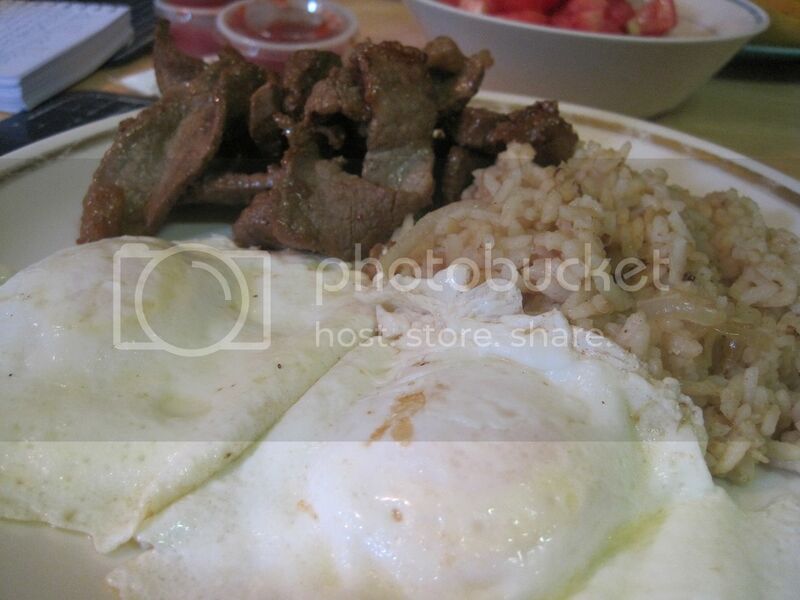 So far, I have made a couple of SiLog breakfasts in our kitchen. First, my husband’s favorite Filipino breakfast meat, Tocino which is pork marinated in soy, sugar, vinegar, salt and pepper. The second SiLog dish I made is TapSiLog, short for Tapa, Sinangag and Itlog. Filipino tapa is beef marinated in lemon, soy and black pepper. This is my husband’s close second favorite. But the best way he actually likes this is stirfried with onions and peppers ala bistek, for dinner.